SBI Clerk 2019 is a much awaited recruitment process. It is a best gateway to a career in the banking industry for thousands of students and working professionals around the nation. SBI Clerk 2019 Exam is to be conducted in two phases, prelims and Mains. It is very important for you to know more about career prospects, work culture, salaries etc of a clerk. Any Account holder enter in a bank and approach toward a counter and get own doubts and queries clarified. The person who resolved that issues is a Clerk. A Junior Associate as a clerk gets a decent salary for a comfortable lifestyle. After another 7 years: it will be Rs. 28,110/- and so on. 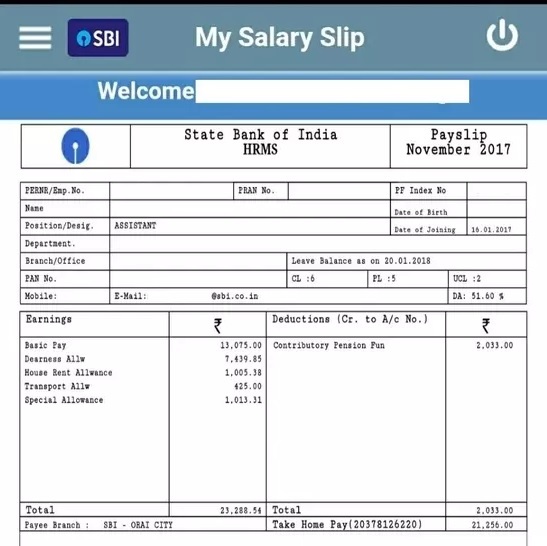 Note – According to the SBI Clerk Notification, the total starting emoluments of a Clerical Cadre employee payable at a Metro like Mumbai will be around Rs. 23,600/- per month inclusive of Dearness allowance (D.A.) and other allowances. Allowances vary depending upon the place of posting of the employee. Dearness Allowance (DA): This allowance is revised on a quarterly basis in the months of February, May, August, and November. It is based on the Consumer Price Index (CPI) as decided by Government of India. When inflation is high, DA goes up and when inflation falls, DA goes down. House Rent Allowance (HRA): This allowance depends on the place of posting. Employees posted in metros like Mumbai, Delhi, etc. are given a better HRA in comparison to those posted in other cities. 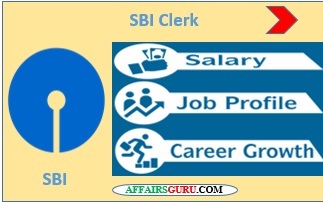 The work profile of a clerk in the State Bank of India is related to single window operator. Junior Associate or clerk is the first point of contract for inquiries & guidance. It is the starting designation in the hierarchy of bank jobs. A clerk deals with the front desk work and customer handling operations. A clerk works at the single window operations like managing inquiry corners, withdrawal, managing receipts etc. A clerk also deals with opening new accounts, cash collection, issuing bank statements and handling mails and delivery. Works as a Single Window Operator (SWO) – It includes the day-to-day works like opening accounts, amount transfers through cheque/NEFT/RTGS etc , issuance of Demand Drafts (DD), cheque clearance, receiving inwards mails, cheque book requests. Also work as a head cashier i.e. handling cash transactions of the concerned branch. Clearing and transfer of cheques. Works as a special assistants or universal tellers. Clerk is also liable to address the concerns of the customers and try to resolve them. There is also marketing and sales job. Have ability to do marketing. Have to make customer calls and handle calls. Have to sell products inside and outside premises. Good communication skill to relate with customers. As per SBI’s promotion process, the candidates would be promoted to higher posts on basis of their performance also after working for 3 years through internal exams a clerk can get promoted to the post of Probationary Officer/ Assistant Manager. After starting your career as Officer or Junior Associate in the State Bank of India you can also appear for Associate Exams: JAIIB and CAIIB certification exam which is bright opportunity to get an edge over others. Not eligible for transfer for 1st 3 years of service. SBI Clerk is same as of IBPS Clerk even after 7th pay commission. SBI is a public sector undertaking but not a government organisation. After all deductions, the in-hand salary of SBI clerk varies as per the place of posting. It is usually lies in the range of Rs. 20,000/- to 23, 000/- based on the posting location. AffairsGuru Team will soon update the notification regarding the SBI Clerk Exam. If you have still any doubts, please comment below in the boxes.